“No more than five minutes into my initial interview with Steve Jobs, I wanted to throw caution and logic to the wind and join Apple." 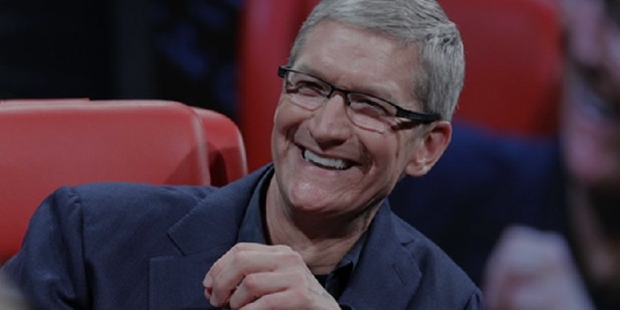 Tim cook became the CEO of the largest technology company in the world on August 24, 2011. His total compensation package was around $378 million which makes him the highest paid CEO in the world. He has been instrumental in taking Apple forward and keeping the brand value intact even through rough periods of time when there seemed to be nothing new to boast about for the revolutionary company. How he made the decision to join Apple when its future looked bleak and how he remained the calm force in the company through every high and low is now part of legend. Timothy Donald Cook was born on November 1, 1960 in Alabama. He graduated from the Auburn University with a bachelor’s degree in industrial engineering in the year 1982. He also got his M.B.A. from Duke University in the late 80’s. He joined IBM and worked up the ranks to become the computer corporation’s North American Fulfillment director. Then in 1994, he became Chief Operating Officer (COO) at Intelligent Electronics in the Reseller Division. Later he joined Compaq as Vice President of corporate materials, procuring and managing product inventory. After six months at Compaq came the turning point of his life. Steve Jobs wanted him to join Apple. Many of the top investors and entrepreneurs including Micheal Dell had said that the future of Apple was not looking very bright. Many suggested him to stay with Compaq which was a secure option but Tim Cook chose otherwise. In March 1998, Tim Cook joined Apple. Later Cook would quote, “My most significant discovery so far in my life was the result of one single decision: My decision to join Apple.” Tim Cook was excited to be part of the revival of Apple and to work in the presence of the iconic Steve Jobs. Cook’s initial role was to take responsibility of the supply chain management. This included the sales, support, customer services. One of Cook’s best ideas was to reduce the number of products in its range and also the number of distributors and resellers. Cook was made director of international sales in 2000, and in 2004 he became head of the Macintosh which was responsible for the MacBook and iMac. In 2007, Cook became Chief Operating Officer of the company. Cook became interim CEO when Steve Jobs was convalescing after surgery for pancreatic cancer in 2004. Again in 2009, he was interim CEO when Steve Jobs took leave for a liver transplant. In August 2011, Cook was appointed as Apple’s new CEO, taking over permanently from Apple Co-founder Steve Jobs who later in the died of a relapse of pancreatic cancer. Cook was on the list of the 100 Most influential people in the World list in 2012. He was criticized for the debacle that was Apple Maps, but handled the situation well by offering an apology and promising to improve the application in the near future.